The valves can protect hydraulic system of excessive pressure,and can be used to maintain constant pressure in hydraulic system. 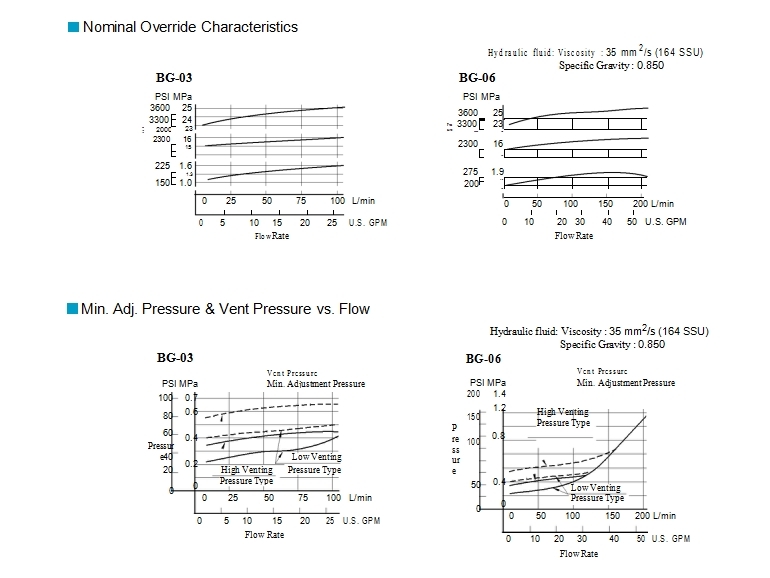 Remote control and unloading are premitted by vent circuit. 3, Take use of pilot,with big flow and low noise. 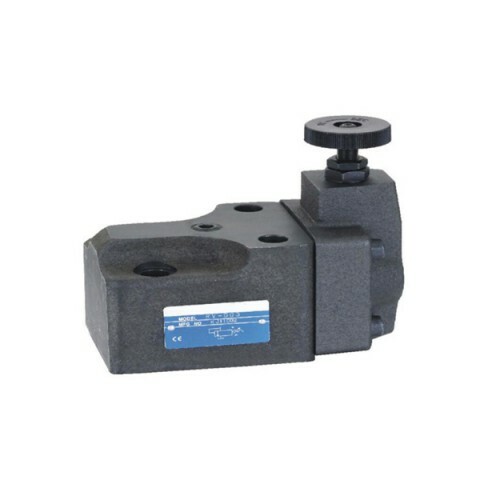 Adjustable hydraulic pressure relief valves more or less have the problem of internal leakage, this is related to the structure and working principle of the solenoid operated directional valves, a certain range of internal leakage is normal, can not be completely avoided. The working principle of the pressure operated relief valve is that electromagnetic power push rod to make the relative movement of the spool after the electric drive, so as to open or close the corresponding oil hole. In order to ensure the smooth movement of the valve core in the valve body, need to maintain a certain gap between the two, otherwise the adjustable hydraulic pressure relief valve and the valve body will keep in close contact and not be able to move under the influence of friction. The gap size of the adjustable hydraulic pressure relief valve body and the valve core is known as the matching precision. It need to be strictly controlled in order to ensure the stability of the 50 psi pressure relief valve. The internal leakage of the hydraulic system directly affects the working efficiency of the hydraulic system, and can easily lead to malfunction of the system. 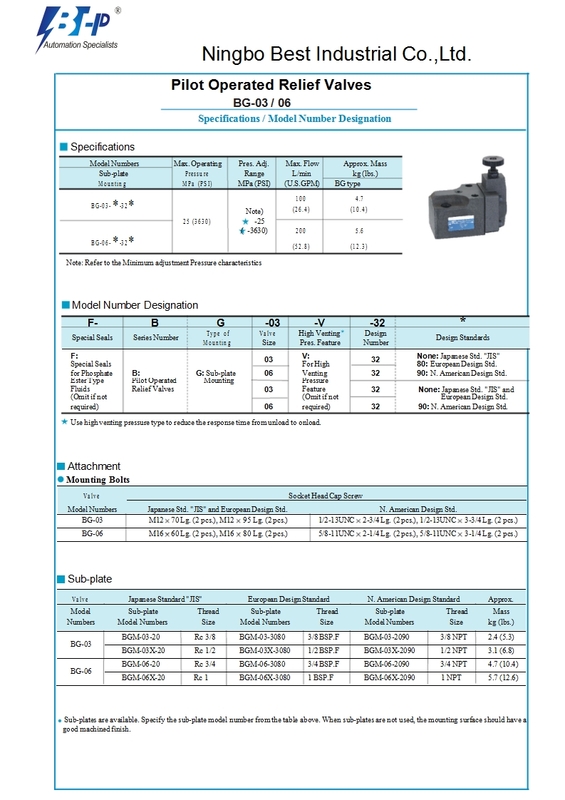 But need to point out that the matching precision of the pressure operated relief valve is not simply the pursuit of precision, but should select the most appropriate solution based on the requirements of the work conditions and cost.As we all know, the hydraulic system in the hydraulic oil is very easy to mix with small impurities and it is difficult to completely eliminate. It is usually used to filter the impurities in the fuel tank with a single filter. This method is relatively simple, but the accuracy of the low cost filter is limited, can not effectively filter small impurities. If the matching precision of the electromagnetic valve above the filter precision, valve core is easy to be blocked by the impurities not filtered , resulting in the solenoid valve failure. For high precision solenoid operated directional valve, it is generally recommended to adopt high precision filtration equipment, such as cotton core, which will increase the cost of the whole system. 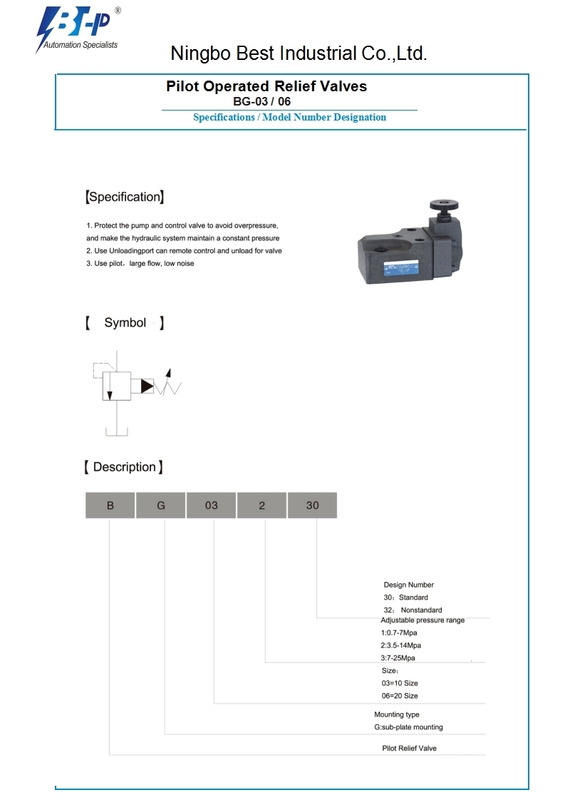 Therefore, the requirements for the electromagnetic solenoid operated directional valves leakage should be based on the actual work situation. Some low price 50 psi pressure relief valves can increase the internal leakage after a certain period of time, may be due to the valve body using of low hardness material, the gradual wear and tear in the work lead to poor accuracy. 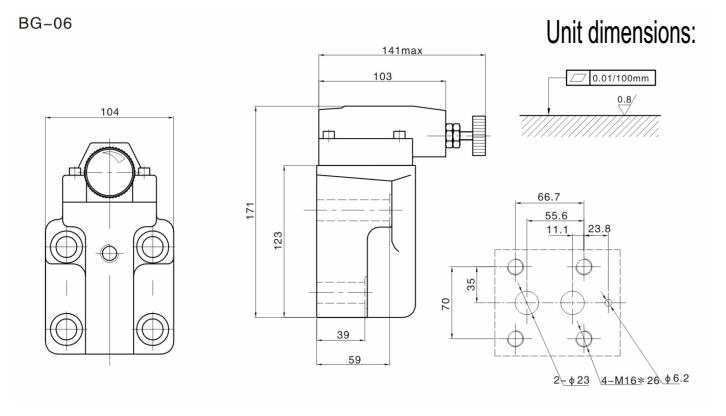 If pressure operated relief valves connection surface oil leakage, generally should check the installation of adjustable hydraulic pressure relief valve and the bottom plate is flat or not, the torque and the material of connecting bolts should be consistent. The problem that is often overlooked is that the hardness of the O type ring is mounted. The lower hardness of the sealing ring should not be used for the sealing of the high-pressure system, can be replaced if necessary.